This FAQ page is based on thousands of probiotics questions I've answered since 2009. If you don't see your question answered on this page, email me at Evan@probiotics.org. I will answer every question, and will always tell you "I don't know" if I don't know the answer. How can probiotics benefit your health? Which are the best probiotics to buy? What medical conditions are negatively affected by probiotics? Are probiotic supplements safe for pregnant/nursing women? Do probiotics have side effects/dangers? Will probiotics improve your symptoms? Probiotic organisms work in cooperation with the immune system - Casey Adams, Ph. D.
Probiotics are actually friendly bacteria and good yeast. Over thousands of years our bodies and probiotics have developed a mutually beneficial relationship. The probiotic bacteria can't live without us - and we can't live without the probiotics! 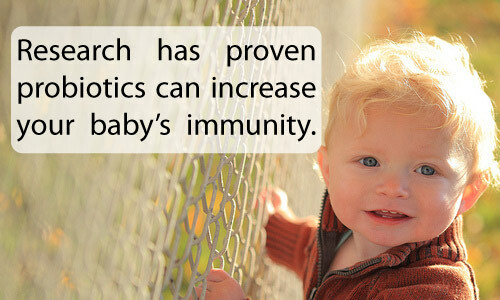 Scientists have only recently discovered how they can harness the power of these pint-sized probiotics. Probiotic supplements are now available in probiotic pills and powders. You can also make your own whole foods probiotics with fermented foods. You can also make your own probiotic drinks. You might be surprised to learn there are well over 500 different types of probiotics that are native to your body...and scientists are only just starting to understand the true complexity and impact of healthy bacteria on our health. Why didn't scientists previously know about probiotics? Scientists have had limited knowledge of probiotics since the late 19th century. The first Nobel Prize winner, Dr. Ilya Ilyich Mechnikov, did pioneering work on the immune benefits of yogurt. Efficient DNA sequencing technology perfected in 1996 allowed scientists to fully research probiotics. Since 1996, thousands of probiotics research articles have been published in the most prestegious scientific journals. Since 2009, there has been even more ground-breaking research on how much probiotics affect every aspect of our health. The combination of new research, increased media reporting and people reporting amazing results have driven an increase of 216% interest in probiotics interest since 2009. Click here for 21 amazing facts about probiotics. Probiotic strains are the different types of probiotics that scientists have isolated. Some strains are great for digestion, others are great for immunity and others are great for decreasing cholesterol. You have more than 500 probiotic strains in your body. Click here to learn more about probiotic strains. 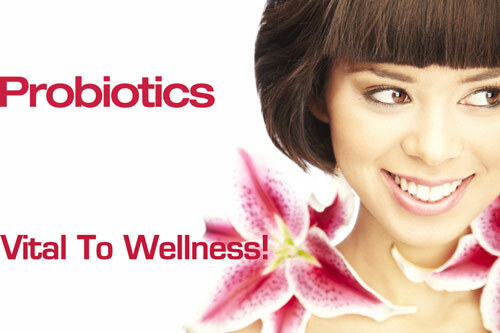 Probiotics have been proven to have significant benefits to women's health. Beyond the typical benefits of probiotics, probiotics also support women's vaginal health. Also, if women are breastfeeding, a Swedish study showed that probiotic supplementation improves infant heath. Infants get their first dose of probiotics from vaginal birth and other substances excreted at birth. After that, breast feeding gives infants the next dose of probiotics. I believe that for proper development of an infants immune system, breast feeding is extremely important. It's the way nature designed us! In addition to breast milk, infants seem to pick up beneficial probiotic inhabitants by putting their mouth on...everything! The latest scientific research suggests that probiotics are responsible for 70-80% of our body's immune response. Let me detail how this works! 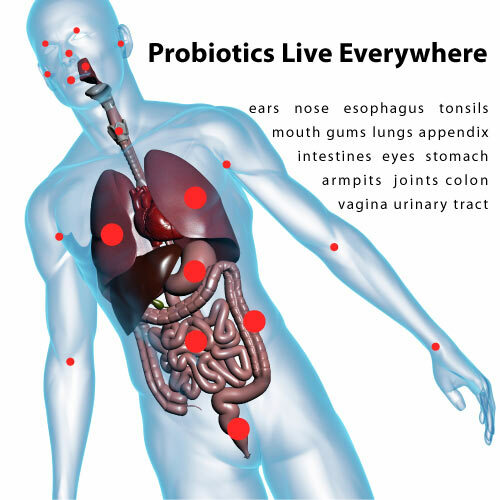 Probiotic immunity begins begins in our nose, mouth, ears. Probiotics live in our mucus there and help repel outside invaders and defend us from illness. They are the first line of defense. Next, we have numerous species of probiotics that live in our mouth. A deficiency in these oral probiotics can lead to increased cavities and canker sores. Limited probiotics also live in the stomach - though, the concentration of probiotics rapidly increase around the ileum in the small intestines. We have similar concentrations of probiotics in our large intestine, and then an absoultely stunning, 90% of our probiotics live in our colon. These probiotics help form a protective layer that excrete antiviral, antibacteria, and antifungal chemicals. 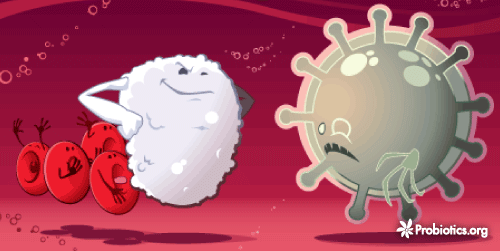 There are a large number of extremely dangerous bacteria (e.g. C. Difficile) who typically only infect our GI tract if we have probiotic deficiency. Over 90% of all probiotics in your body live in your small intestine, large intestine and colon. Since most of our digestive processes take place in our intestines and colon, it makes sense that probiotics strongly affect our digestion. Very recent research has shown that a lack of probiotics in the intestines also strongly contributes to intestinal permeabiilty (aka. leaky gut), IBS, etc. For me, learning about probiotics relationship with allergies was exteremly surprising. But, in the end, it makes sense since these beneficial bacteria help regulate our immune system...and in many cases allergies can be thought of as an over-active immune response. But, as everything we mention on probiotics.org, we let the scientific back up all information on this website about probiotic benefits to your health. Since probiotics are technically bacteria, there is evidence that severely immune-compromised individuals can have contraindications from Lactobacillius strains. Regarding soil based probiotics, my research has shown there are not appropriate for long term use. Short term use is fine for many people. However, individuals sensitive to yeasts (eg. Candida overgrowth) should proceed cautiously with these types of strains. Always consult with you doctor, but it seems probiotics are safe for diabetics. There is also evidence that probiotics help regulate glucose metabolism. This strain and this strain have been researched to improve glucose metabolism. I am not a medical doctor - please check with your doctor. Bifidobacterium are not known to have any contraindications. There is strong evidence that probiotic supplementation during pregnancy improve newborn's immunity and decrease allergies. For nursing infants, immunity/allergy improvements have also been observed. In thousands of hours of research, I have not come across evidence of probiotics being unsafe for pregnant/nursing women. But, as always, please consult a physician before taking supplements when pregnant/nursing. But, you should still check with your doctor to be 100% that any supplement, including probiotics, is safe for you during pregnancy. Lastly, people with liver/kidney issues should proceed cautiously with probiotic supplementation. Probiotic side effects are typically mild, temporary and often a sign that the probiotics are working. The side effect symptoms are often part of the natural cleansing process...they typically mimic mild detoxification reactions. Very rarely people have more intense reactions - though they are quite mild compared to many pharmaceutical drugs. 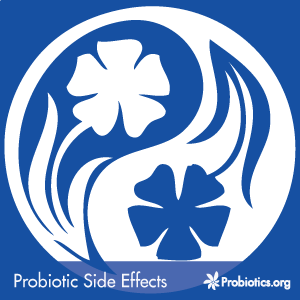 Click here to see our guide on reducing/understanding probiotic side effects. Which Is the Best Probiotic for You to Buy? Today there are well over a thousand different probiotic products to choose from...so how do you pick the one that's best for you? To cut through the confusion, we've created a simple probiotics buying guide. 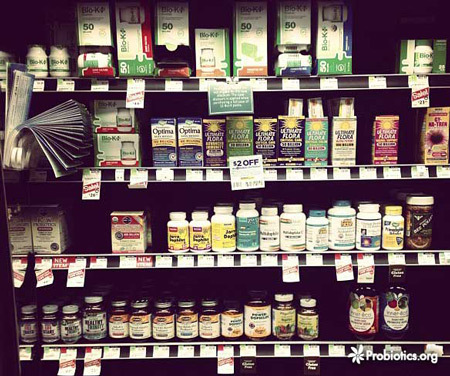 As of today, our probiotics buying guide has been downloaded by 117,487 people. You should click here to download the Probiotics Buying Guide. It took 10 months and 12 days, but we completed our Personalized Probiotic Finder in February 2014. To find the best probiotic for your symptoms, this tool cross references a database of 653 probiotic products and 351 probiotic research studies. We update our database frequently (nearly every week), and you can click here to find the perfect probiotic for your symptoms. These probiotic foods/drinks are very easy to make at home. You can also buy these probiotic foods and drinks at health food stores like Whole Foods. You can learn more about fermented foods by clicking here. 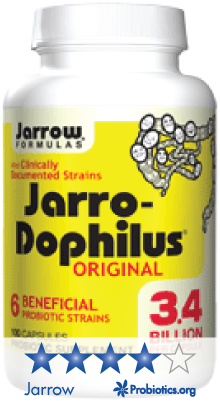 The next best way to get probiotics is to buy them in pill supplments. There are a wide variety of probiotic pills in varying doses. You can read about the best probiotic brands, or use our Personalized Probiotic Finder. For people who dislike taking pills, probiotic powders are ideal. There are great to mix into smoothies or even just water. The internet is filled with claims that refrigerated probiotics are the only way to go. Sadly, I believe this is a myth perpetuated by marketers. The truth is that the probiotics you find in the refrigerated section are often shipped, spending days with no refrigeration at all. You might not believe this, but a team member at Whole foods showed me self-stable probiotics put inside the refrigerated section for probiotics...just because they sell better. Keeping in mind that refrigerated probiotics are not the only way to go, there are still a number of refrigerated probiotic brands who are very high quality. VSL#3 is likely the higest quality refrigerated probiotics on the market. Prior to the year 2000, the shelf-stable probiotics were non-existant to my knowledge. But since 2009, there has been an explosion of non-refrigerated probiotics that can maintain 80% potency for two years at room temperature (70F). Shelf stable probiotics are definately the way to go when traveling with probiotics. People who have never taken probiotic supplements before should start with small doses. I understand that there is a strong desire to take the strongest probiotics. But for many people, large doses of probiotics can undesired side effects. Just as with many pharmaceutical drugs, it is wise to slowly increase the dosage over time. 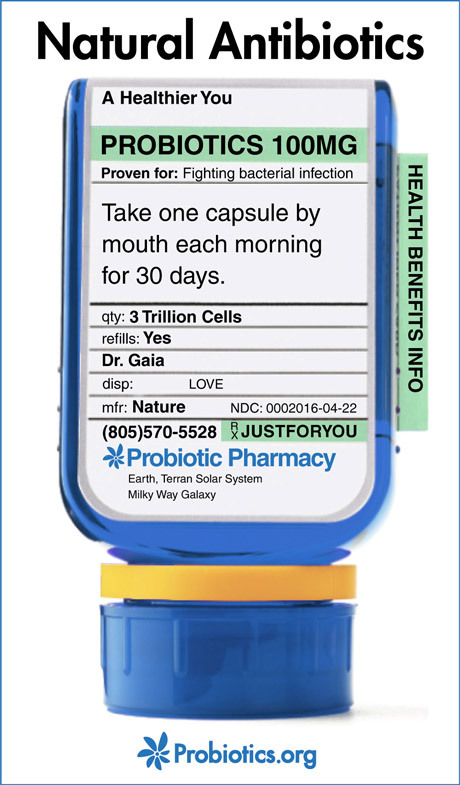 As a general rule, I recommend that people who haven't taken probiotics before start with a dose below 10 billion CFU. We're writing an article that contains the 5 best "first time probiotics". Fermented foods are also a great source probiotic organisms. In my experience people will not experience side effects from these foods (as long as you don't eat too much). I personally eat raw fermented foods & drinks every day (I make my own traditional fermented foods). For people with digestive issues, fermentation "pre-digests" foods. This way you get immediate nutrition and probiotics which increase your long term absorption of vital nutrients. Most traditional cultures have thousand year old fermentation practices. What Probiotic Supplements Are Free of All Common Allergens (Hypoallergenic)? We've complied a complete list of the 10 best probiotic brands - click here to see the full list. Nearly every brand of probiotics are vegetarian - they have no meat products. Not as many brands of probiotics are vegan because many of the probiotics use milk when they are grown, so there are traces of milk used in their production. Which Probiotics Are Best for Travelling? The ideal travelling probiotic is one that doesn't need refrigeration. When travelling, I typically use a small maintenance dose around 5 billion CFU with 5 billion CFU. See our article on travel probiotics. Yes. Most probiotic strains are directly harvested from a healthy person, then researched and later mass produced in a manufacturing facility. What Does 100 Billion CFU Mean? 100 billion CFU means "100 billion colony forming units" - which is a fancy way of saying "100 billion probiotic cells. 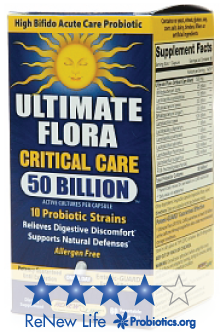 Most probiotic supplements range from 1 billion CFU, all the way up to 400+ billion CFU. You might think that more probiotics is better, but that isn't always the case. Just as with many medications (like anti-depressants), it's important to increase the dosage slowly, sometimes over a period of months. A great starter dose is Less than 5 billion CFU. Prebiotics are certain types of foods that are like growth steroids for your good bacteria. Many vegetables have lots of prebiotics...see the full list of whole food prebiotics here. My name is Evan Jerkunica and if you have any questions about probiotics you can always email me at Evan@Probiotics.org. You can learn more about me and Probiotics.org on the about page. 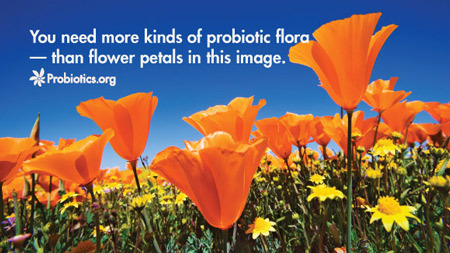 Learn to feel better with the Probiotics.org newsletter (and get a free probiotics guide). Get the right probiotic for your symptoms with our Personalized Probiotic Finder. Want to buy the best probiotics for you and your health? Then you should click here to download the Probiotics Buying Guide. Learn how to feel better and improve your health with the Probiotics.org newsletter (and get a free probiotics guide). All information on this site is for informational purposes only - consult a doctor before taking any supplement.